That wind is NASTY! That video in Machico still has my jaw hanging... still. I've got issues with strong wind. I just don't like it and it upsets me when I see it in any form. Why would any one buy a boat...let alone build one. Boats are no match to such forces of nature. 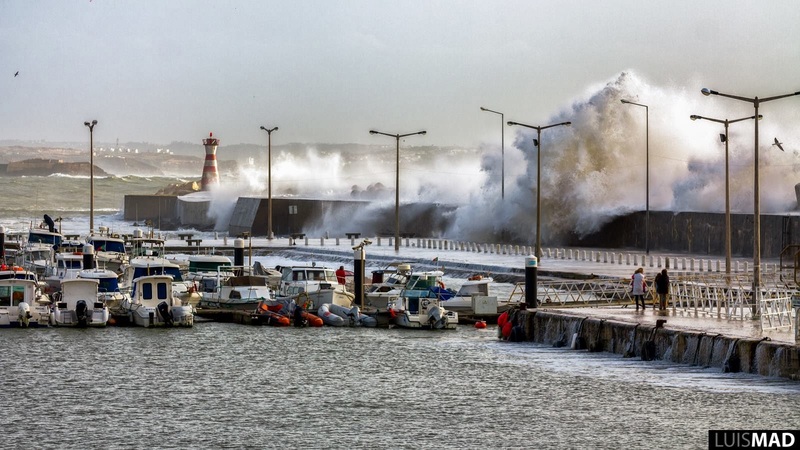 You're saying what at least 8 people are saying right now in Peniche. Eight, that's how many boats sunk last night. 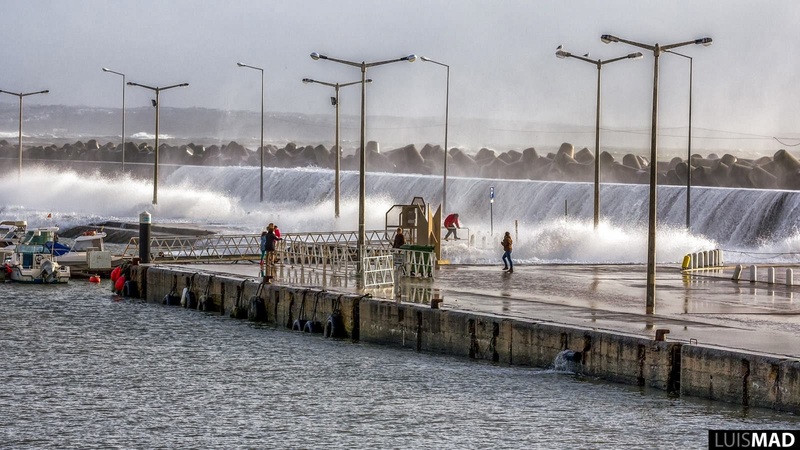 The waves you see crashing over the breakwater in the pictures above are nothing - last night huge waves smashed the marina's steel-frame access ramp into a bent wreck and sunk eight small boats closest to the quay. A friend of mine and the harbor master were there in the night on RIBS retying boats, etc. Luis called me and told me Jakatar was OK. It's morning now, just got back from the marina, but you can't even go near it except by boat and the waves - now a bit smaller - are still rolling over the breakwater. Cheers from the wild west.